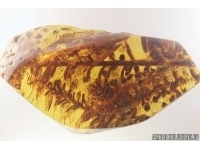 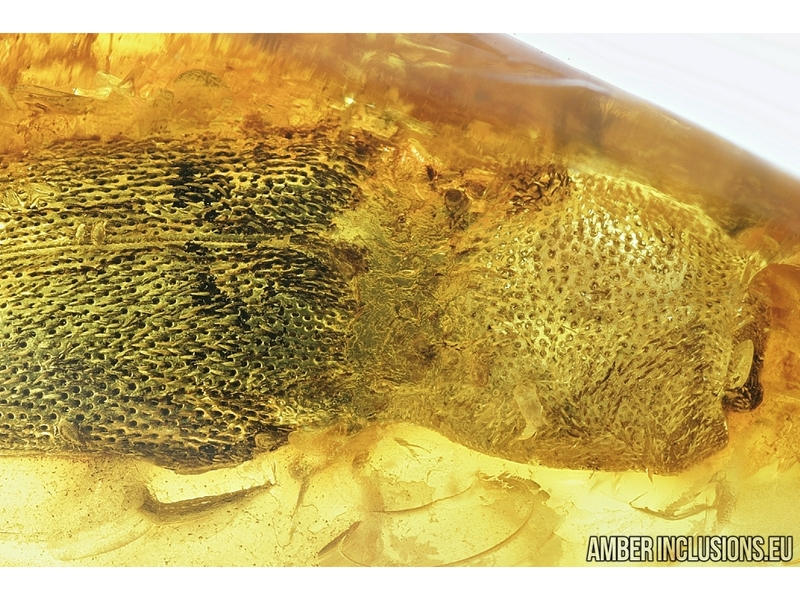 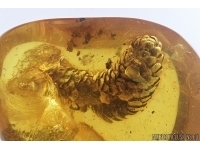 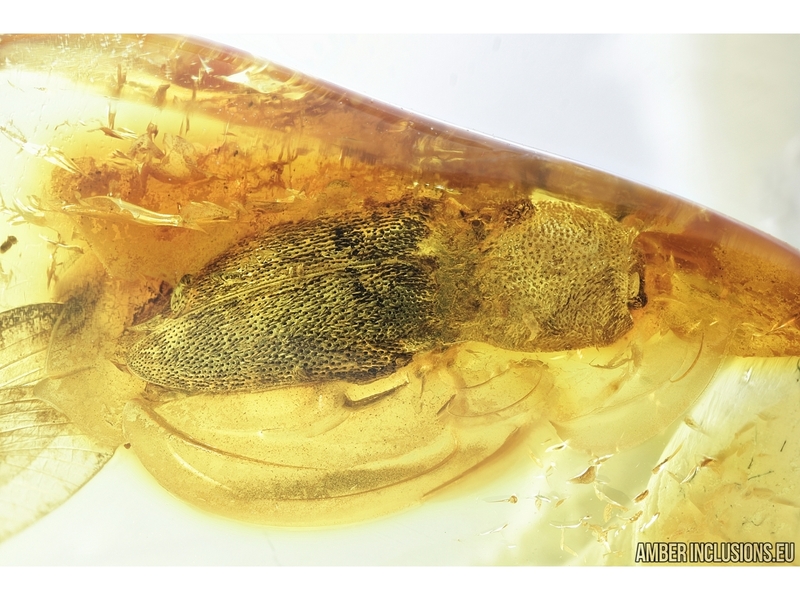 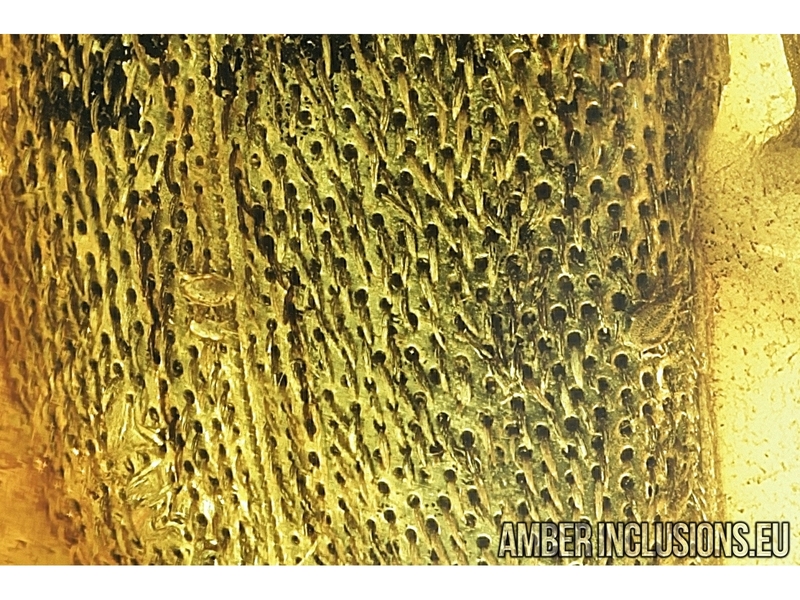 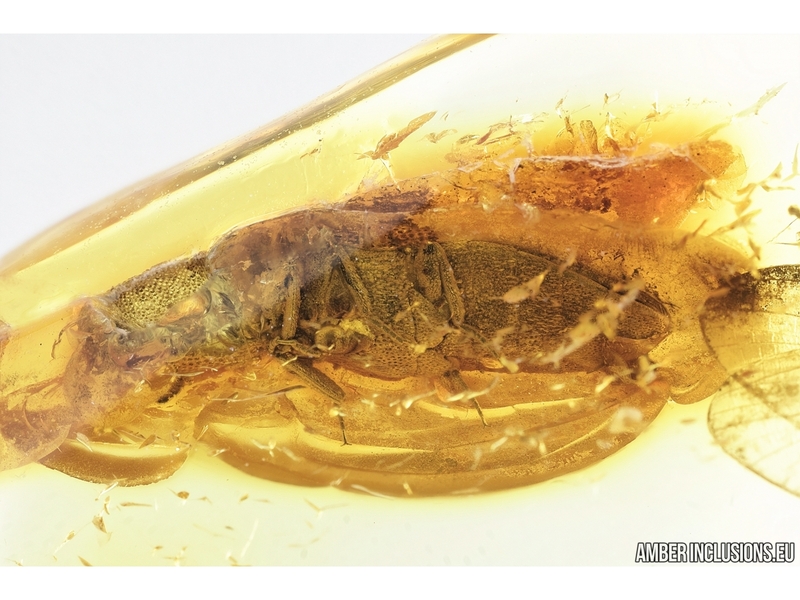 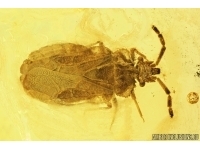 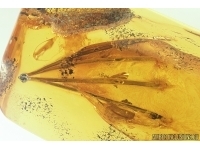 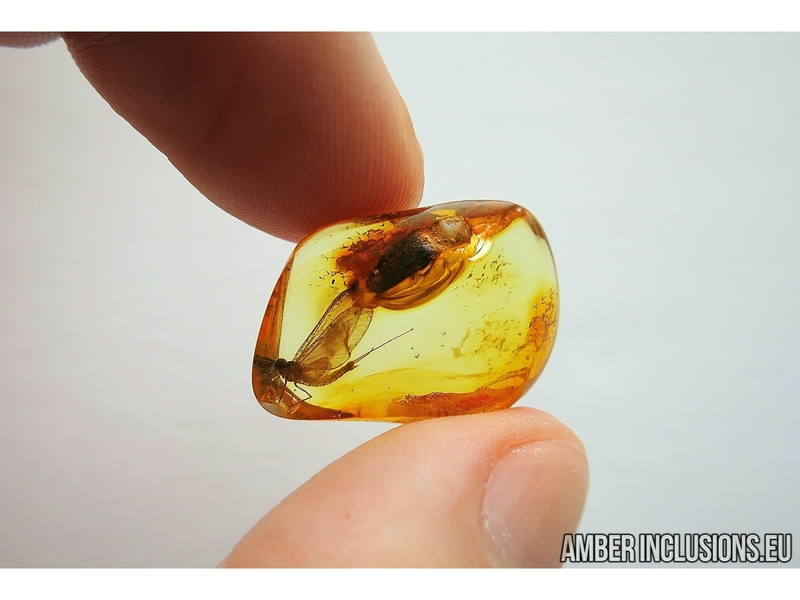 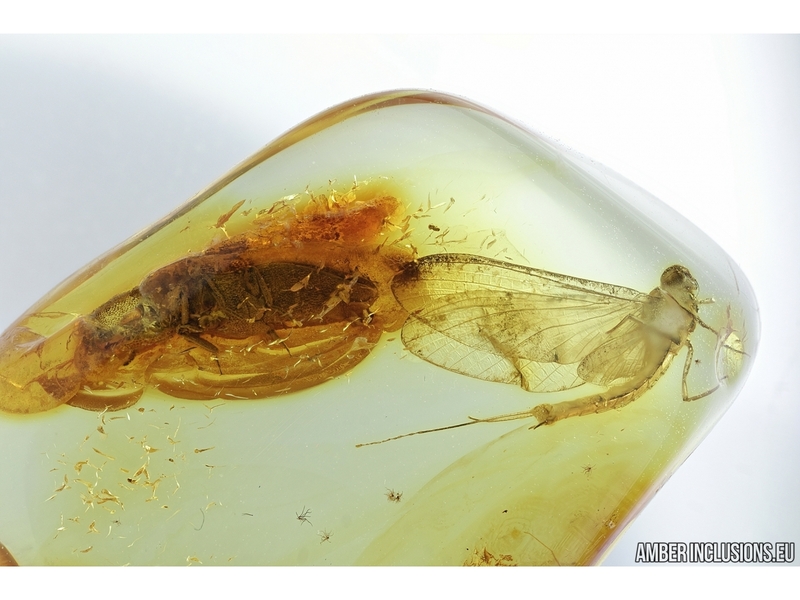 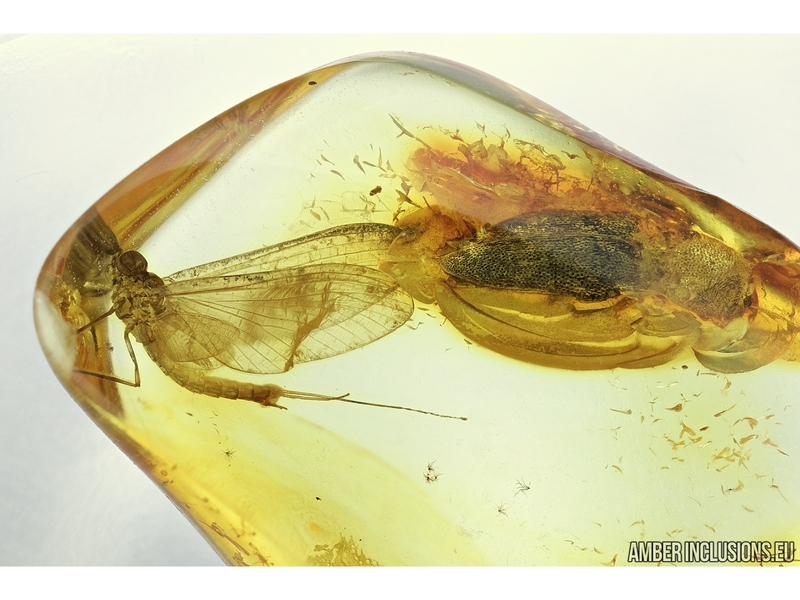 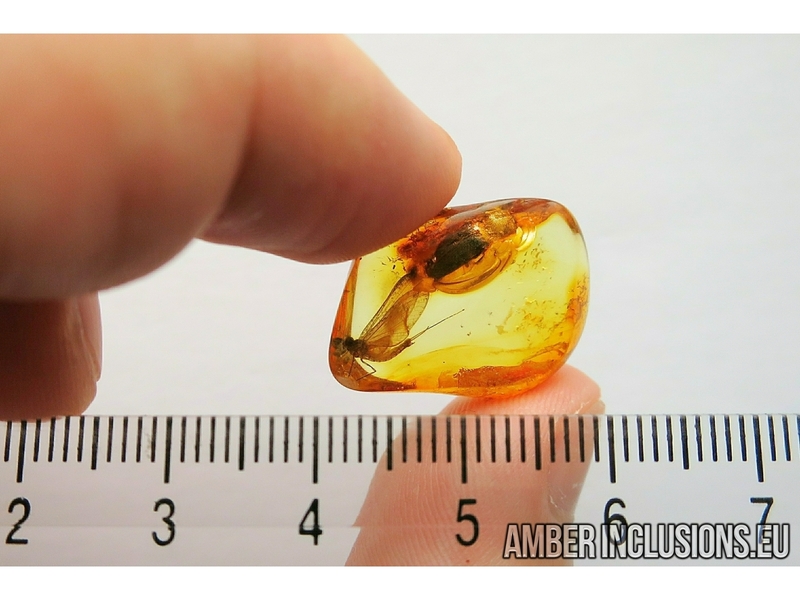 Baltic amber stone with fossil inclusions – Click beetle (damaged head) with Mites and Mayfly. 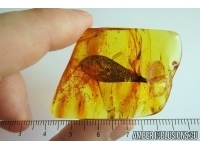 It weighs 1.3 grams. 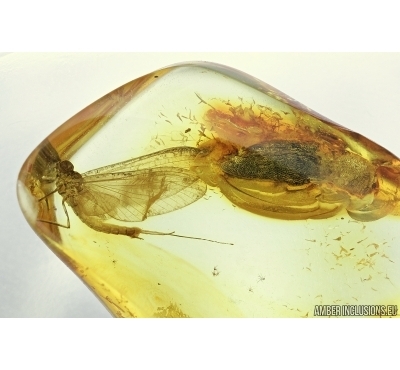 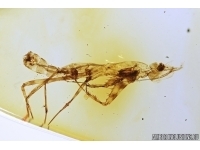 Measurements of stone 23x17x5mm, length of beetle ~8mm, mayfly~10mm.